It was a magic afternoon at the Lighthouse Ministries soup kitchen on South Wenatchee Ave. today when a dozen youngsters from Joyful Scholars Montessori walked in the front door with six refurbished kids bicycles, complete with red bows attached. 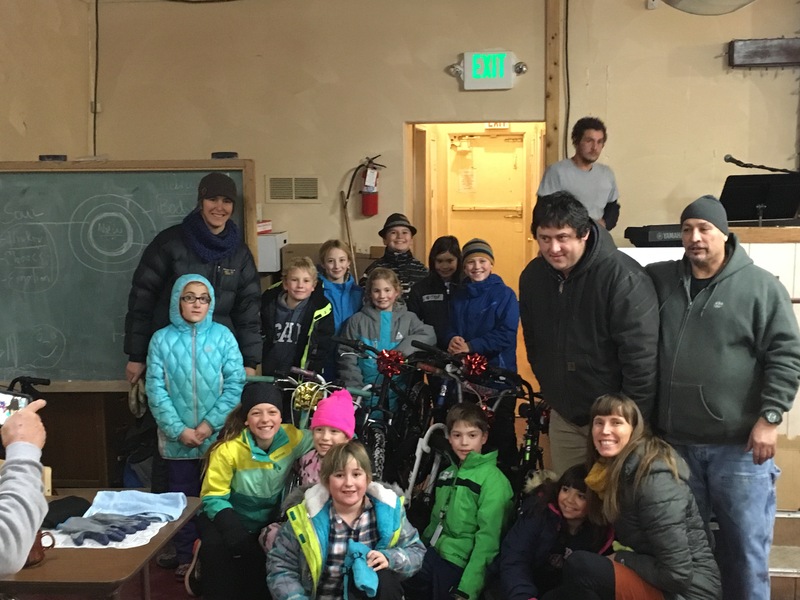 Those bicycles, which the kids repaired themselves under the guidance of parent volunteers, will be given by Lighthouse staff to kids in the community who need them. 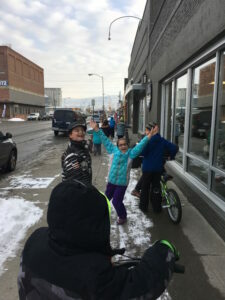 The students, who are in the 4th through 6th grades, were a bit nervous before they walked in the door of the facility, said school co-founder Anni Hisey, but that hesitancy gave way to pride when the volunteers and guests at soup kitchen gave them a standing ovation. “It was magical,” said Hisey. The bikes had been donated to the school as part of a new Wellness Education program. The program director, Kate Bonnett, devised the plan to help the youngsters learn how to fix and maintain bicycles. When the presentation of the bikes was made, the students burst into song, Hisey said. 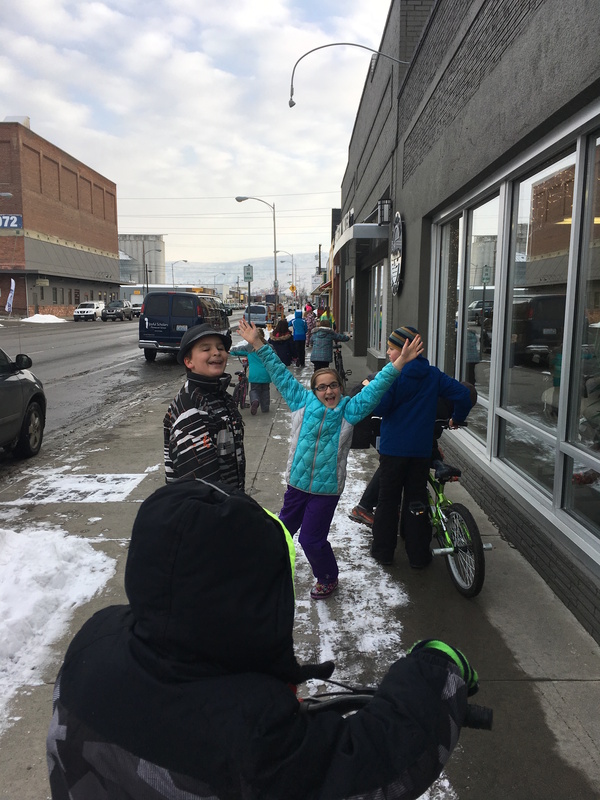 After receiving a standing ovation, the students were so exuberant that after they got in their school van to return to classes, they sang all the way home.